In our fast-paced society, self-care is more important than ever. Unfortunately, people don’t typically make enough time for it. We’re always on-the-go and trying to accomplish one task after another. And in the process, we tend to neglect ourselves! What if there was a way to care for yourself (and your mental health) while also accomplishing your goals? Well, there is! Pet grooming classes are a great way to focus on your mental health while also working towards a desirable career. Recovery Village is an organization that works with individuals who are struggling with substance abuse. One of their programs is pet adoption for individuals struggling with substance abuse and mental illness. 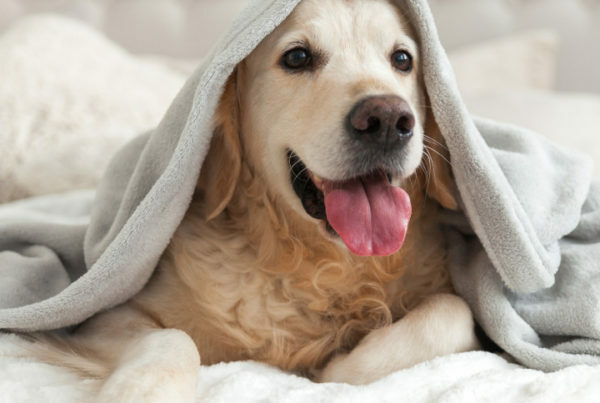 They’ve looked extensively into the benefits of pets and mental health! So we’re proud to share some of that information with you in this article! Keep reading for just some of the benefits of taking dog grooming classes and owning pets! I’m sure you’ve heard it before, but being around animals is great for your mental health! There’s a reason why it’s so common for people to have emotional support animals! Animals encourage people to communicate. Because they can’t verbally speak to us, we have to read their non-verbal cues to know what they want or need. A dog with its tail between its legs? It’s scared! A dog with its tail up and wagging? It’s excited and happy! This natural push to hone our communication skills is great for mental health. If you’re struggling with human social interaction, your grooming class is a great way to naturally practice non-verbal communication. It might sound wacky to practice communicating with animals in order to be better with people, but it’s valid! Plus, you’ll have to interact with their owners, which fills the human desire for communication. According to Recovery Village, having a pet will improve your social life as well! So, even if you aren’t getting into dog grooming, owning a pet is going to help you work on your communication. Walking dogs regularly gets you outside and around others (especially if you go to a dog park). Your pooch could be your “friendship wingman” if you’re feeling lonely while working towards recovery! There’s no doubt that animals are comforting creatures. Most pets (even the not-so-snuggly ones) know when you’re feeling down and are willing to cuddle you! They have a soothing presence and are great listeners. While you’re working on your pet grooming course, you’ll be interacting with all different pets – all willing to show some affection! 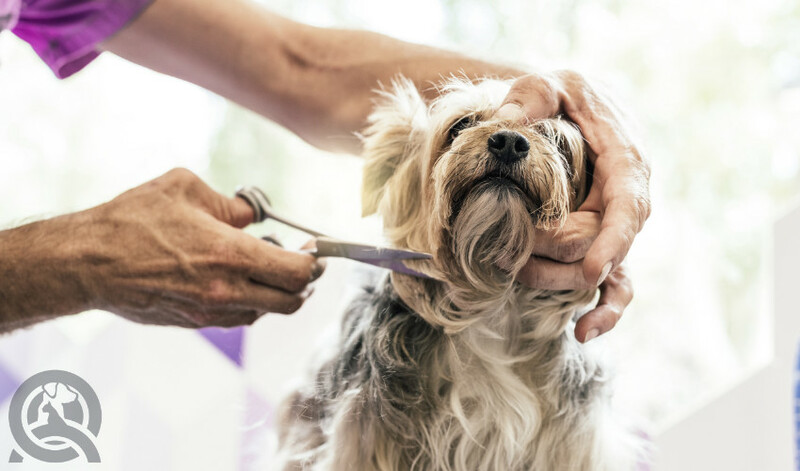 Even the animals that come into your salon that hate being groomed (and this isn’t on you either) will provide some comfort. Simply touching an animal with a soft coat is comforting! Life can be overwhelming. That’s a fact. But there are ways to reduce your anxiety! This isn’t just a placebo effect that’s a result of being told that either. So many studies prove pets and animals alleviate anxiety! Being around animals increases oxytocin levels in the brain. 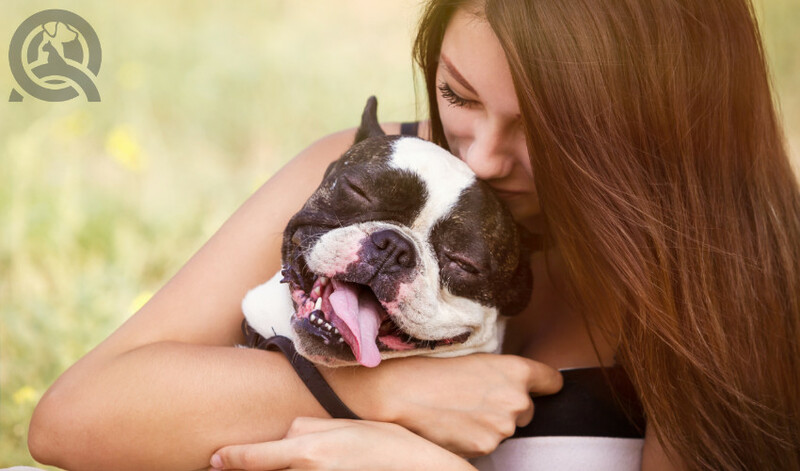 Oxytocin is essentially the love hormone – it’s what gives us those butterflies in our stomach when we see someone we love (or just a cute dog). Anxiety often comes out of fear. And nothing is more comforting than the feeling of safety you get when a dog leans its head against you or when you hug someone you love. According to Recovery Village, a UK study showed that 55% of people felt more relaxed after spending a bit of time petting their dog! This one speaks for itself! Having animals around doesn’t make us feel alone. Consider a typical 9 to 5 office job; being in a cubicle can be lonely! Luckily, you won’t ever be alone as a dog groomer or during your dog grooming classes. You’ll always have a pet around to talk to. And, like we said earlier, owning a pet will help you get outside your bubble! You’ll need to take it for walks and even to the dog park, where you’ll meet other dog lovers! Recovery Village cites a study at Harvard Health Publishing that found that pets help create human-to-human friendships! Those were just the benefits of being around pets! But what about all the other perks of taking a grooming class? Diving into a new career might be scary at first, but as you work with your tutor or instructor, you’ll start to be more confident! Confidence is something that goes on the back burner when we don’t make time for ourselves. However, as our confidence increases, so does our happiness and overall quality of life! Grooming classes are a great way to grow your confidence gradually as you move from beginner skills to more advanced techniques. Especially the case with online grooming classes, you’ll need to motivate yourself! Grooming classes push you to motivate yourself and find ways to stay engaged. Plus, it gives you a shorter-term goal to work towards: getting that certification! Self-motivation comes with confidence as well. As your confidence grows, being self-motivated will come naturally! Though we talked about taking time to pause and care for ourselves in our fast-paced society, being busy can have benefits, too. As long as you aren’t feeling anxious and overwhelmed, busyness can help your mental health! For people struggling with depression or going through a hard time in their personal lives, being busy (for short periods) can serve as a distraction. Of course, putting off your problems isn’t healthy, but sometimes you just need a break from life. 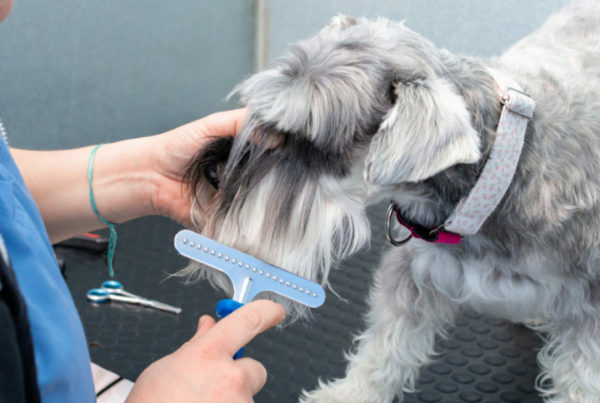 During your dog grooming class, you’ll have plenty of hands-on distractions. Grooming a dog also takes concentration, so your thoughts will be occupied while working! We talked about self-motivation, but having a routine will also come with taking a grooming class. As you get into your course work, you’ll likely fall naturally into a routine. If you’re doing your grooming class online, you’ll find a pocket of time each week to do your course work. You’ll fall into a rhythm, which makes life a little less overwhelming. There is an incredible amount of research about the benefits of being around animals. And, through the unconditional love of a pet, you can manage your daily stress! Even if you’re struggling with a clinical mental illness such as substance abuse, dog adoption could be a great option. Doing a grooming class is a simple way to be around animals, especially if you don’t have your own pet. 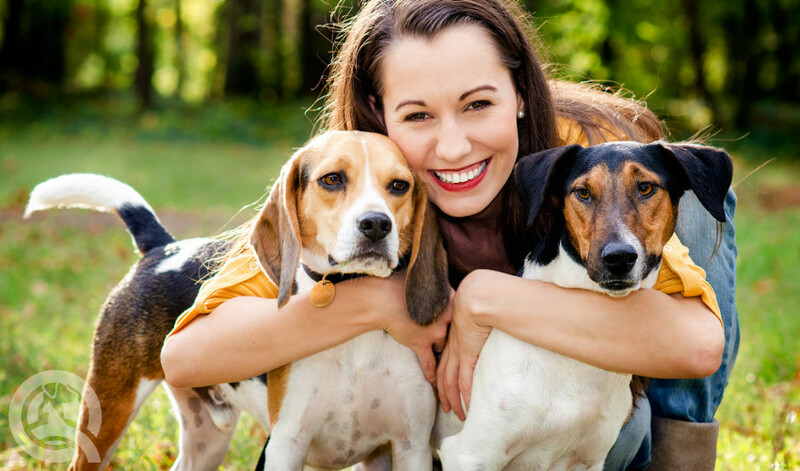 If you’re looking to learn more about the relationship between pet adoption and recovery, Recovery Village has written a comprehensive resource: Pet Adoption and Recovery. Do you notice any other benefits of taking a grooming class? Let us know! Looking for some more information about QC’s online grooming academy? Check out this article! 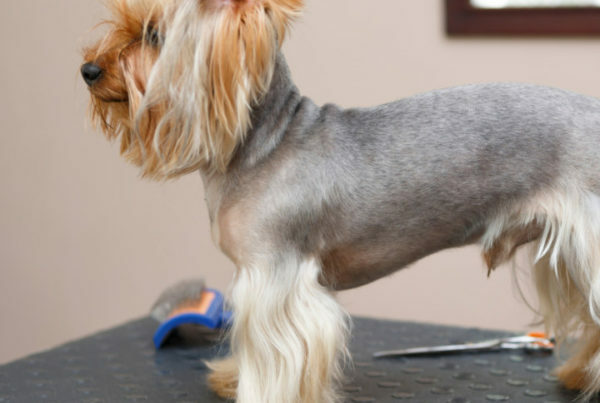 How Much Do Dog Groomers Make Around the World (and Why)?